You can’t see it because it is hidden behind walls, but ductwork is a vital part of your home and one that could be costing you hundreds of dollars a year if it isn’t working properly. 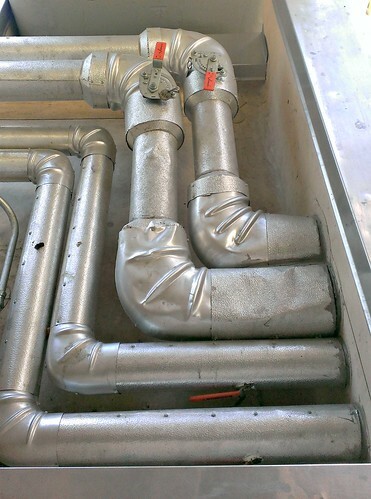 It’s hard to know if your ductwork needs attention because the problems aren’t often noticeable or visible, but paying attention to these five signs could help you know if your ductwork needs to be checked. If you hear rattling, whistling, or humming when your HVAC system is running, it could be a sign the ductwork isn’t working properly. It could be that the HVAC system is creating greater air pressure than the ducts can handle or there could be a leak in the ducts that needs to be repaired. In most cases, noises don’t indicate a major problem, but one that can be corrected with an HVAC tune-up or a relatively simply repair. Is your system not pumping out enough air? It could be that there is blockage or debris in the ducts that needs to be cleaned out. It could also indicate a tear or crack in the duct that is causing air to leak or the vents could be the wrong size to effectively deliver air. Weak air flow can happen throughout the entire home or in just a few vents. To get an idea of where the problem is located, check the air flow from each vent in the house. Ideally, your heating and cooling systems should work so that every room in the house is the same temperature. If that isn’t the case, it could be due to blockage or breakage in the ductwork or vents in one area of the house that are the wrong size. If your home is collecting more dust than usual, it could be a sign that there is debris in your ductwork. This issue can often be solved by simply changing the HVAC air filter, but it could also be a sign that a larger, system-wide filter needs to be installed. Dust and debris in the ductwork can cause the HVAC system to work inefficiently or break down. Mustiness or higher humidity than normal in your home can signal that the ductwork has cracks or tears that are allowing condensation to form. Pay attention to the humidity level in your home; if it seems to be increasing as the weather stays the same, it’s likely your HVAC system. If condensation isn’t removed and cracks aren’t repaired quickly, it could lead to mold growth in the ductwork. Paying attention to how your HVAC system is working and how air is moving through your ductwork can alert you to potential issues before they grow into larger and more expensive problems. An HVAC technician can inspect the ducts and make repairs, but only if you are aware to what is going on. Paying attention to the ductwork and keeping up with home maintenance could save you lots of money.